Mario’s Deli brings the taste of Italy to your table. Our full-service deli features Italian favorites like homemade mozzarella, meatballs, lasagna, cheese ravioli, and stuffed shells. We offer delicious chicken parmigiana, veal parmigiana, lobster ravioli and cannelloni, which are customer favorites. Mario’s Deli uses the freshest produce and authentically sliced Italian meats and cheeses to make sandwiches, entrées, desserts and more! Are you in the mood for a great sandwich? If so, be sure to try our famous Italian hero, with salami, ham capicola, pepperoni, provolone, lettuce, and tomato; a crowd favorite that’s sure to please! Our deli has so many items from which to choose; you could eat something different every single day for over a month and never even eat the same thing twice! The culinary heritage of Italy is legendary and it has always been among the most popular in this country. Salami is the fourth most popular deli meat sold in the U.S. There’s an almost infinite variety of classic Italian Salami. Distinctive and traditionally Italian in quality and flavor, they are best-loved for their authentic, sensitively spiced sweetness as well as for the pleasantly subtle flavor of slowly and naturally aged meat. 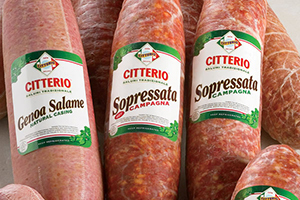 Sopressata is a Salami that features coarsely ground fresh pork. Originally, Sopressata was hand-made in old world family kitchens. The quality and flavor of Sopressata is thoroughly authentic. It every bit as typical of the classic hand-cut, hand-crafted varieties. The seasoning is subtle: black pepper, a touch of salt and fresh garlic. Aging is especially critical – natural and deliberately slow to bring out the distinctive flavor of the premium meat itself. 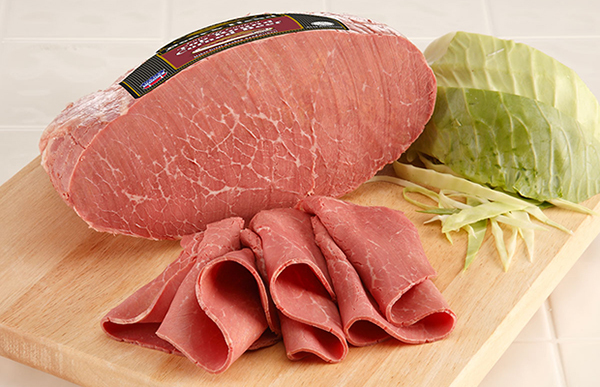 America’s most popular Italian Salami is made from a medium-fine, grind of choice cuts of pork, combined with a secret blend of aromatic spices from around the world. No fillers are used. The savory mixture is stuffed into a natural casing. The Salami is then put through an all-natural and unhurried aging process. This combination results in a Genoa Salami with a peppery accent and distinctive richness that, thinly sliced, make it a tantalizing Antipasto just by itself. It’s delicious, too, with nothing more than unsalted butter on crusty Italian bread. We also carry Hard Salami and Pepperoni, which are ideal for Panini, snacks or as a flavorful highlight in pizza or pasta sauces or in a hearty country salad. Prosciutto is an uncooked, dry-cured ham. It is a fatty cut of meat that, when sliced thinly, has a buttery texture and will melt in the mouth. It has a mild, sweet, distinctive taste and flavor which is enhanced by aging the meat up to a year or more. It is traditionally enjoyed just with plain breadsticks or crusty bread. Often, it’s accompanied with fresh melon, pears or figs. 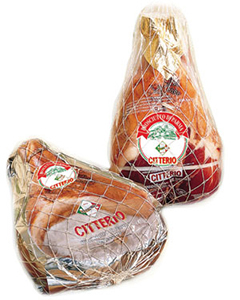 Mario’s also carries internationally acclaimed Prosciutto di Parma. The origin of Prosciutto di Parma dates back to ancient Romans times when Cato the “Censor” first mentioned the extraordinary flavor of the air-cured ham made around the town in Parma in Italy. It can only be produced from the hind legs of specially selected Italian-born and bred pigs raised according to the highest standards, producing a tasty meat with a pleasant flavor. 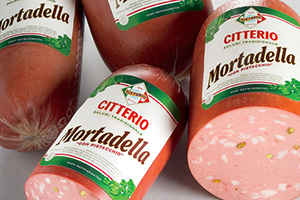 The origins of Mortadella are ancient, dating back to the 14th Century and recognized as the most cherished pork specialty of Italy’s renowned culinary capital, the city of Bologna. Following tradition, Mortadella is made with meticulously selected, lean cuts of fresh premium-quality pork that are then finely minced into a buttery purée. Discrete accents of selected spices are sparingly added along with dices of pure, white fat to enhance the traditional flavor and distinctively composed texture. This mixture is then stuffed into casings, and prepared for your enjoyment. 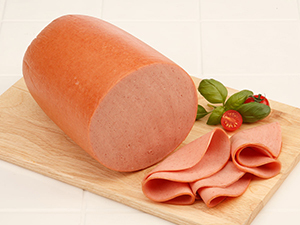 Bologna, one America’s favorite lunchmeats, originated in Bologna, Italy. It is usually made from pork, sometimes beef, sometimes both. Bologna is a sausage, so it starts as a blend of meat, fat, salt and spices, which are then stuffed into a casing and smoked. 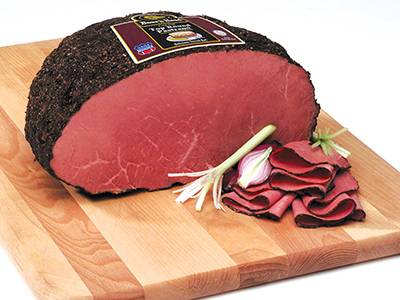 Most bologna is seasoned with a blend of black pepper, myrtle berries, nutmeg, allspice, celery seed and coriander. 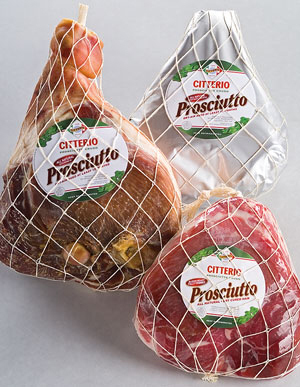 Capicola is made from pork shoulder, massaged with dry mixtures of spices and formed into casings. 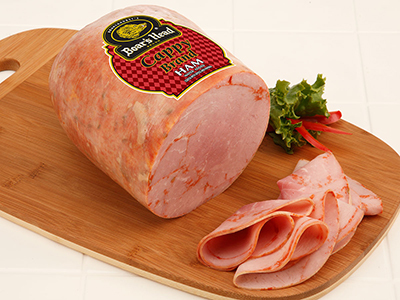 It is then slowly dry-oven roasted to bring out the natural flavor of Cooked Ham that’s subtly accented with traditional Italian seasonings. Other than in use in sandwiches, when cut into narrow ribbons, it adds a special richness to chef salads, baked potatoes, pizza, pasta sauces and more. Brisket, cut from the front of a cow is the traditional meat used for traditional corned beef. The “corn” in corned beef refers to how the cut of brisket is cured, using large kernels or “corns” of rock salt, along with water and other spices. It is versatile, used for sandwiches (Reubens), traditional boiled dinner served alongside cabbage and potatoes, as well as sautéed with potatoes and onion in a nice breakfast hash. Pastrami is made from Corned Beef, which is then smoked, adding flavor to the meat. The meat is coated with a mix of spices such as garlic, coriander, black pepper, paprika, cloves, allspice and mustard seed, and then smoked. Finally, the meat is steamed until the connective tissues within the meat break down. Pastrami is not just for hot & cold sandwiches. It is also prepared with a cream sauce over toast, as an excellent breakfast hash, minced with mashed potatoes, baked in pastry shells, quiches, and so much more. Liverwurst (or leberwurst) is a liver sausage. Long popular in Europe, German immigrants popularized the dish in America in the mid-19th century. It is usually made of calves’ livers mixed with spices and is firmer than pâté but softer than a sausage. Liverwurst has anti-inflammatory properties and is also very rich in vitamins A and B, and minerals such as Iron and Selenium. It’s also very high in protein. In a 55g serving, only 5g of it is saturated fat. Mario’s Deli has an extensive selection of other meats to choose from, such as Roast Beef, Chicken Breast, Turkey, Pan Roasted Turkey Breast, a variety of Ham including Cooked Ham, Honey Ham, Virginia Baked Ham, and much more! Did you know that we make our own Mozzarella cheese, right here at Mario’s?